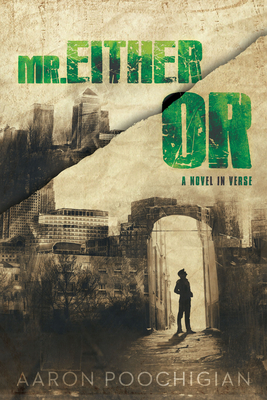 Aaron Poochigian's Mr. Either/Or is an ingenious debut, a verse novel melding American mythology, noir thriller, and classical epic into gritty rhythms, foreboding overtones, and groovy jams surrounding the reader in a surreal atmosphere. Imagine Byron's Don Juan on a high-stakes romp through a Raymond Chandler novel. Think Hamlet in Manhattan with a license to kill. Aaron Poochigian earned a Ph.D. in Classics from the University of Minnesota in 2006 and an M.F.A. in Poetry from Columbia University in 2016. His book of translations from Sappho, Stung With Love, was published by Penguin Classics in 2009, and a translation of Apollonius' Jason and the Argonauts was released October 2014. For this work in translation he was awarded a 2010-2011 grant by the National Endowment for the Arts. The Cosmic Purr, (Able Muse Press), a book of original poetry was published in 2012, and many of the poems in it collectively won the New England Poetry Club's Daniel Varoujan Prize. Poochigian's work has appeared in such journals as The Guardian, Poems Out Loud and POETRY.